Engine guys - you can't live with them, you can't live without them. They've got you by the fuel injectors and they know it. I spent most of Friday waiting for the engine guy. I think Einstein first got the idea for relativity - you know, everyone's watch gets out of synch just by travelling around the universe - because he was waiting for a diesel mechanic to show up. Night before: "I'll be there first thing - 9:30 AM.......or 10"
11:15 AM: "I'm on my way"
12:30 PM: "Headed there now, 10 minutes away"
1:15 PM: "I'm at the gate now." At no point does he make reference to any of the previous conversations we've been having about when he was going to show up. I think in the engine guy's decelerated frame of reference, his watch really does say he has arrived at 9:30 am. Einstein probably had equations that would have predicted that. But, there's another kind of time shift at work here that makes everything come out even. Physicists will tell you things have to work out right for observers in any frame of reference, or a theory falls apart. Ordinarily, waiting at home for the plumber or roof guy to show up, I would be bouncing off the walls waiting that long. But waiting for the engine guy is different. I'm at the marina. On the boat. Time is moving a lot slower for me, too. I can wander around the docks all day long and find stuff to do that makes time disappear. What's that ancient wooden tugboat doing circling over by the boatyard ramp? I've never seen that around here before. Ten minutes gone. Uh-oh, a monster piece of driftwood is floating down the fairway, just at the surface. Someone could bend a prop backing into that. Better wait for it to get to somewhere where I can reach, so I can fish it out. Fifteen minutes gone. I think I'll walk down to the office and ask about that slip that looks like the previous tenant has left. Maybe I'll move my boat over there. It's easier to get in and out of than mine. But, wait, it looks narrower than my slip. Better measure it. Where did I leave my tape measure? A half hour gone. There's my dockmate who wants to talk about how my varnish job is holding up. And she just varnished the gunnels of her Whitehall rowing boat. Do I want to check it out? Well, it's a Whitehall, and they're cool. Sure. Forty-five minutes gone. This stuff must be part of some universal field theory. As soon as one thing passes by, something else I must check out comes along, and there goes another 15 minutes, a half hour, an hour. The engine guy finally shows up at 1:30 - according to my watch. Am I pissed? Not at all. On O Dock, I've had a busy morning, too. The Universe always balances it'self. Like with this comment, I beat the Blogfather!!! Yay me! whoot whoot whoot! Zen, if Tillerman leaves a comment here, I suspect it will be to remind me that he never has to wait for the engine guy. By the way, was that you out teaching a sailing class on Friday morning? Sure you can get by without the engine guy. Just chuck the engine into the trash and do like your forebearers... hire a crew of hearty rowers to help get you out of the marina on windless days and be prepared to anchor for as long as it takes to wait for the wind. Who needs to go back to work or make it back home, anyway? You guys are not easing my suffering one bit. Why ya gotta go and sell your soul? Like he's some guy in a fairy tale book? But why ya gotta talk about Engine Joe like that? Naw, not me on Friday. I'm suppose to be there this Sat & Sun though. Response #1: Motors are for sissies. After some thought, Response #2: OTOH, if the amenities that come along with the motor (nice cabin, hot and cold running water, comfy beds, a toilet and the like) keep the wife from running screaming as fast as she can away from the boat, well, sometimes, you have to make compromises. Carol Anne, response #2 is pretty much on the mark. I ended up sailing the little daysailor we had alone more than I liked. I guess that's how Engine Joe got his name. Someday, I will remember it's spelled daysailer. I'm sorry I didn't get to you this morning. I woke up bright-eyed and bushy-tailed at 7am today (Saturday), eager to please my customers and answered my emails for two hours (Yes, I had already given you times and materials for three ways to fix your rotted frames and you can pick whatever you want me to do and yes, I'm happy to show you how to do the rest yourself... I'm sorry to hear you quit work and won't be able to continue...). Marketing research - Another two hours. Phone calls of about an hour total (No, I will not give you my friend's number for you to give him work I specified in my estimate with you, with the parts I held your hand over buying. He's my friend and I don't want him mistreated by you as well, that's why... No, it's really not worthwhile designing and fabricating a quick-release waterproof connection for your overboard zinc. How about the wingnut we discussed earlier (Note that today was an unusually light phone-customer-handholding day.)?). Fortunately, today's Saturday, so my invoice research is all internet and I'm not held up by the usual customer service people (After a ten minute wait: Yes, you do carry it and it's in the third stack on the right of your mezzanine; the price is in the Acme catalog, under...). I'm not able to complete several estimates but was able to find parts for the rest - Another three hours gone. *knock-knock* on my boat: Drats - A dock neighbor-customer found me! - An hour explaining reefing and another bending his main on and splicing a line. Another hour discussing extending his sail track, etc. Five other customers saying hi - Another hour. Back to the internet to learn about backing up my blog and getting to know some of the really wonderful blogs here... five more hours. I sell customer service. Sometimes it's tough for me to tell a customer I can't listen because I've got to go. I cringe because I didn't get to the two boats I wanted to, today. So, rather than sail tomorrow, I'll work. If I get four hours billed in a ten hour day, I'm deliriously happy - Three hours paid for ten hours work is actually about par. Today I made two hours' billings. Thank you, O Docker, for your humorous understanding. Handholding delays me getting around to everyone: Please remember that. I feel your pain and enjoy your company but you're making me half an hour late for someone else, while I'm sitting in my truck listening to you. I'm happy to help and that's why I've got my blog but please, sometimes just let me work. Scheduling large blocks of time are by far the most efficient (I can tell everyone I'm busy that day, instead of having to hustle on several little jobs. ), so you'll get much better service if you've hired me for an all-day bunch of jobs than for a bunch of days at an hour or two. If you pay me to teach you to operate your boat well, you'll get so much more in return, also. The best way to get me is to set a specific appointment - That works every time. The non-scheduled jobs tend to pile up at the end of the week when I'm busy and those are the ones I'm usually late on. What I don't get paid to do but am expected to, is really another story, of course. 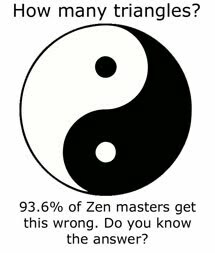 Zen is right - The universe does balance. I've got a small bunch of very happy customers and I'm trying to grow that while continuing my customer service. I'd love it if my customers would ask questions on my blog because that frees me to work while it's light outside and I'd then be able to accomplish five or even six hours work for a ten or twelve hour day. Please accept my apologies - I really do try. Wow - I'm a blabbermouth at 1am! If engine guy said he'd be there, he really ought to show up. Peace. Jerr, I'm the same way in the wee hours. I vowed in a previous post to stop writing at 2am and copy edit when my head clears. But, I hear ya man. Engine guys are the hardest working men (and women?) 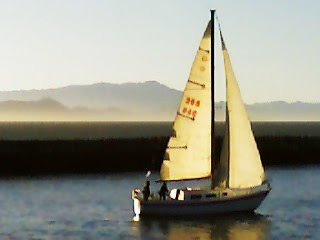 in sailing. And given that my engine is the most complicated device ever devised by man to produce 21 measly horsepower, I definitely need professional help. Look out for Apple, though. The next iPhone will come bundled with a killer Universal M-25 app. Is the diesel sailboat engine the most expensive per horsepower? A Volvo 24 horse @ $14K = $583/hp. How about replacing my stock Dodge Dakota truck engine for an equivalent $157,410? Nice post you got here. It would be great to read more concerning this matter. Thank you for posting this info.